Hilda Eliza Harris was born on 18 Feb 1893 in Longford, Tasmania and died in 1971 in Ulverstone, Tasmania at age 78. Hilda married Arthur Collins, son of George Collins and Mary Jane Davey, on 9 Jun 1913 in Pateena. 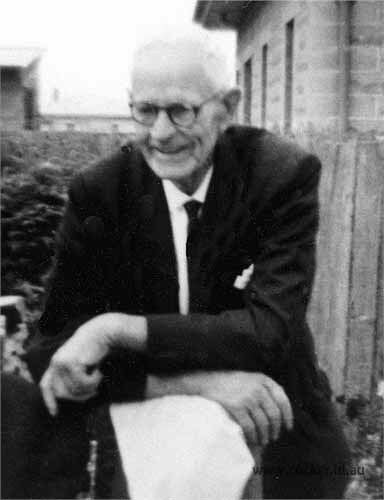 Arthur was born on 21 Apr 1886 in Lymington, Tasmania and died in 1973 in Ulverstone, Tasmania at age 87. They had five children: Beryl, Jean, Eva Maud, Mary Pearl and Hilda Merle. 4-Beryl Collins died in Devonport. 4-Jean Collins died in Ulverstone, Tasmania. 4-Eva Maud Collins was born about 1915. 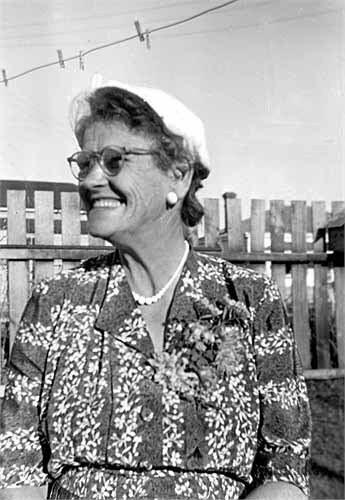 4-Mary Pearl Collins was born in 1917 in Longford, Tasmania and died on 6 Jun 1969 in Ulverstone, Tasmania at age 52. Mary married Kenneth L. Young. Kenneth, son of Albert Frederick Adolphous and Marion Young, was born on 27 Aug 1918 in Wynyard, Tasmania and died on 1 Apr 2008 in Adelaide, South Australia at age 89. 4-Hilda Merle Collins was born about 1923. Hilda married and had a son: John.